Good. 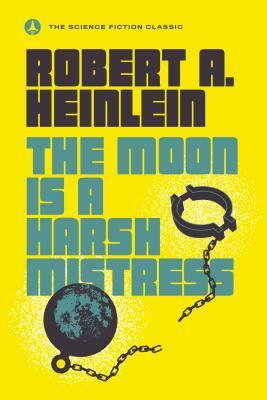 The Moon Is a Harsh Mistress by Heinlein, Robert A., 1987-04-15. Mass market (rack) paperback. Glued binding. Very Good. A-format paperback. 288 p. None. On Luna, an open penal colony, a rebellion is being plotted. The conspirators are a strange assortment-an engaging jack-of-all-trades, his luscious blonde girlfriend, and a lonely talking computer. Their aim is to overthrow the hated Authority, but things don't go according to plan.